Most of us want to look good and feel attractive, and we probably have all dreamed at some point of having the kind of looks that turn heads. However if you weren’t fortunate enough to be born with stunning good looks, this is something that can remain just a dream for a lot of us. Being good looking is an abstract concept designed by society, and it’s something that we have no control over. First of all it’s important to understand that most of our psychology comes from our evolutionary history. That is to say that the way our brain operates actually isn’t optimized for the world we live in today, but rather the one we lived in back when we existed on the African planes. So when it comes to good looks this means that the people we find attractive are the ones who offer the best chance of survival for our genes – the ones that look strong, healthy and compatible. This is the reason men find a specific waist to hip ratio attractive, because it is good for childbirth. Likewise this is why women like muscles – because it means a man can look after her and their offspring. It’s also why we like people with symmetrical faces because this suggests that their cells are capable of splitting and reproducing via mitosis without any errors (thus reducing the chances of cancer). In other words we asses someone’s good looks based on unconscious cues as to their general health and success. So if you can make yourself look healthier you can thus make yourself more attractive. So how do you accomplish that? First of all to look healthy you should maintain your teeth. 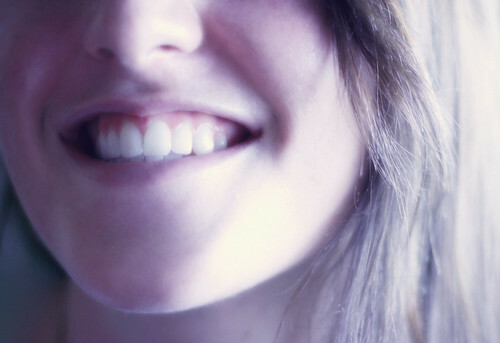 White and straight teeth suggest a good diet, good resources and symmetry. If you weren’t blessed with good teeth, or if you’ve punished them over the years, then you should consider cosmetic dentistry – something as simple as getting veneers can make your teeth look instantly straighter and whiter and this in turn will make you look healthier and more successful. Meanwhile you should work on a tan. This suggests you’ve spent time outdoors and thus are more athletic and outdoorsy. Again this can be faked easily enough – simply by using some self tanning moisturiser that will give you a good tan without risking too much sun exposure or coming off on things. You can also look healthier of course by working out and improving your fitness. A gym membership can quickly improve your looks then and make you appear more capable and more imposing. For women this means toning up and working to enhance your natural curves, while for men it means developing that ‘V’ shape. Mark Spines is a dentist by profession. He is of the opinion that tooth caps are the perfect solution for uneven teeth. He loves watching cricket and blogs about random topics in his free time.